This heavily wooded course features small sloping greens and water hazards in play on nines holes. 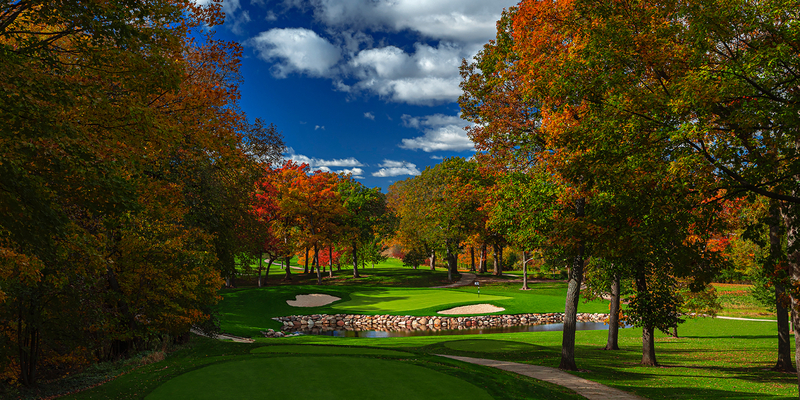 The course's signature hole is #17, a 320-yard, par 4, with an elevated tee shot overlooking Geneva Lake. Abbey Springs is a perfect host for golf parties with meeting rooms, dining rooms, and banquet facilities. A full active golf day can be tailored to your specific needs. Course Record - 66 Steve Stricker. Located 1.5 miles east of Hwy. 67 on Fontana Blvd. Up to 3 days in advance for Saturday and Sunday mornings, 30 days in advance for weekend afternoons, Weekdays: 30 days in advance. Contact Abbey Springs Golf Course at 262-275-6111 for more information and details on holding a golf outing at the course. Abbey Springs is the perfect setting for your wedding or banquet. Located on beautiful Lake Geneva our facilities has options for all. From our lakeside tent to our recently renovated clubhouse in 2009, accommodating 200 guests, we will do our best to make you feel right at home. Our menus are simple guidelines of what we have to offer. Chef Benjamin Janssen will customize any menu unique to your event. From start to finish you'll be guided by skilled staff who strive to make your day one to remember. Contact Abbey Springs Golf Course at 262-275-6111. Contact Abbey Springs Golf Course at 262-275-6111 for onsite or nearby dining options. 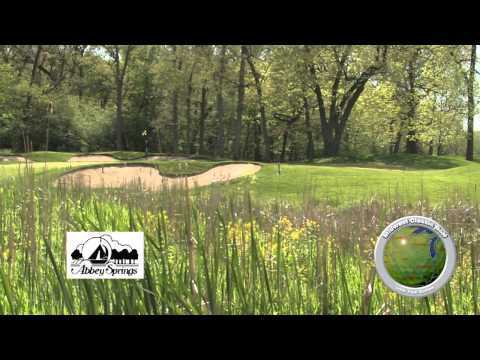 Watch the Abbey Springs Golf Course Video. This profile was last updated on 07/03/2018 and has been viewed 44,688 times.